The City of Wilsonville recently staved off lawsuits over system development charges issued to Wilsonville Subaru and the planning of the nascent Basalt Creek industrial area. 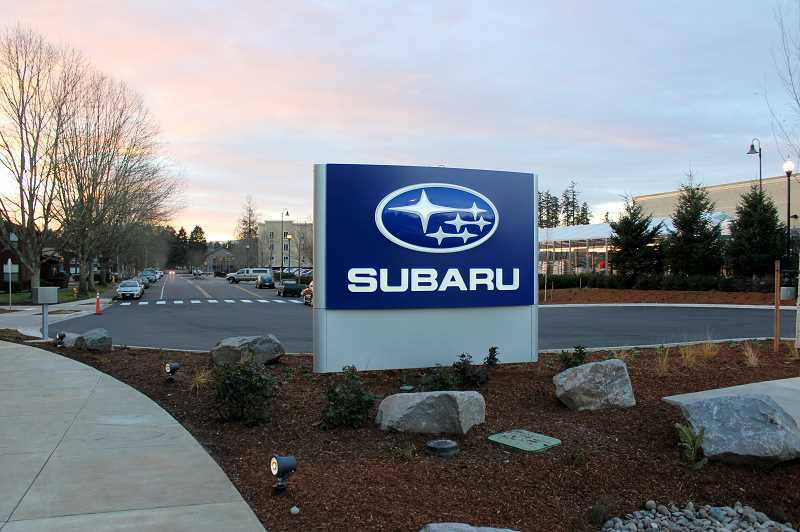 The owners of Wilsonville Subaru filed a lawsuit against the City of Wilsonville in September 2017, claiming the City overcharged them for system development charges related to the construction of the dealership that opened in Old Town in December 2016. The owners, DJ & BL Enterprises, Inc. and Lanphere Construction, claimed that the City charges five times more than the impact of the development to City infrastructure, which is how SDCs are determined. Subaru stated that the charge should be $194,510, not $910,480. Through SDCs, developers are charged a one-time fee so that the government can build the utilities needed to handle expansion. A letter Subaru sent to the City in 2017 cited the City's code, WCC 11.040(5)(e), which reads that "Whenever the impacts of individual developments present special or unique situations such that the calculated fee is grossly disproportionate to the actual impact of the development," a recalculation can be requested. "They didn't think their business had that much of an impact on city infrastructure," Wilsonville City Attorney Barbara Jacobson said. "They never submitted any evidence as to why we were wrong." The City initially denied Subaru's appeal request because it said the appeal wasn't delivered in time. The Subaru owners said the City's timeliness code only refers to appeals made to City Council and not the city government itself, and therefore the appeal was valid. In turn, they filed the lawsuit with the Clackamas County Circuit Court, hoping it would agree that the appeal was valid. However, the Court sided with the City. "The only thing they (Subaru) could ask them to reconsider was whether the appeal was timely," Jacobson said. "The Circuit Court, the only thing they would have done is tell City Council 'You made a mistake. They filed it in time. You need to hear their appeal.' The Court agreed they didn't file on time so they dismissed it." Jacobson also said the lawsuit dragged on throughout much of 2018 because Subaru made filing errors. The State of Oregon Land Use Board of Appeals sided with the Metro regional government, the City of Wilsonville and the City of Tualatin in rejecting an appeal of Metro's decision to resolve a dispute between Wilsonville and Tualatin over zoning in the central subarea of Basalt Creek. The petitioner, Tualatin resident Peter Watts, argued that Metro's decision to side with Wilsonville in ruling that the area should be designated for industrial rather than residential use was a land use decision and therefore LUBA has jurisdiction over the matter, not Metro. However, Metro and the two cities argued that Metro's decision was an arbitration decision, not a land use decision, and that it was non binding. "Our argument was the land use decisions were up to us (the cities) and what we did with Metro was contractual and to break a stalemate (with Tualatin) of two years we couldn't break," Jacobson said. "It would be up to the cities whether they would follow that contract when they make their land use decision or not." And LUBA agreed, stating that it would only have jurisdiction if Metro's decision had been a final land use decision. by a private entity or individual." However, the win for the City might be fleeting. Jacobson expects Watts to file another lawsuit once Wilsonville and Tualatin amend their master plans to include Basalt Creek planning.